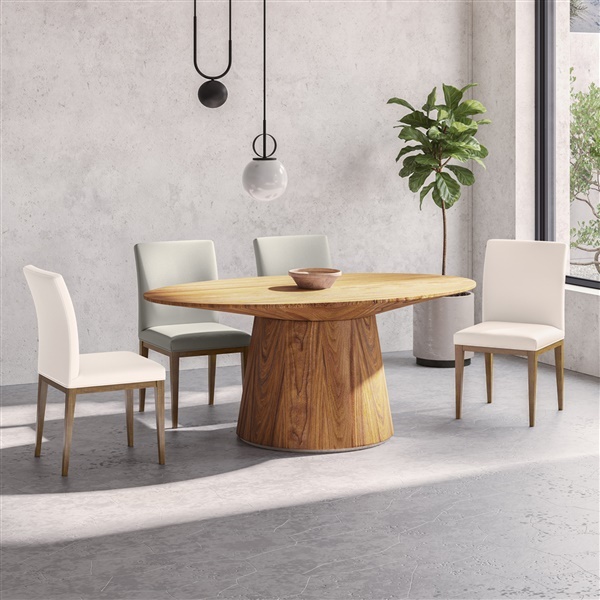 Take a look at this Otago Oval Dining Table from Moe’s Home Collection. This modern table has a retro-inspired, cool design and comes in a variety of finishes. The base is wide to give you an amazingly stable piece of furniture. The table’s made from quality MDF, brushed stainless steel, and solid wood. Four to six people can sit comfortably around the table to enjoy meals, game night, or just some quality time.